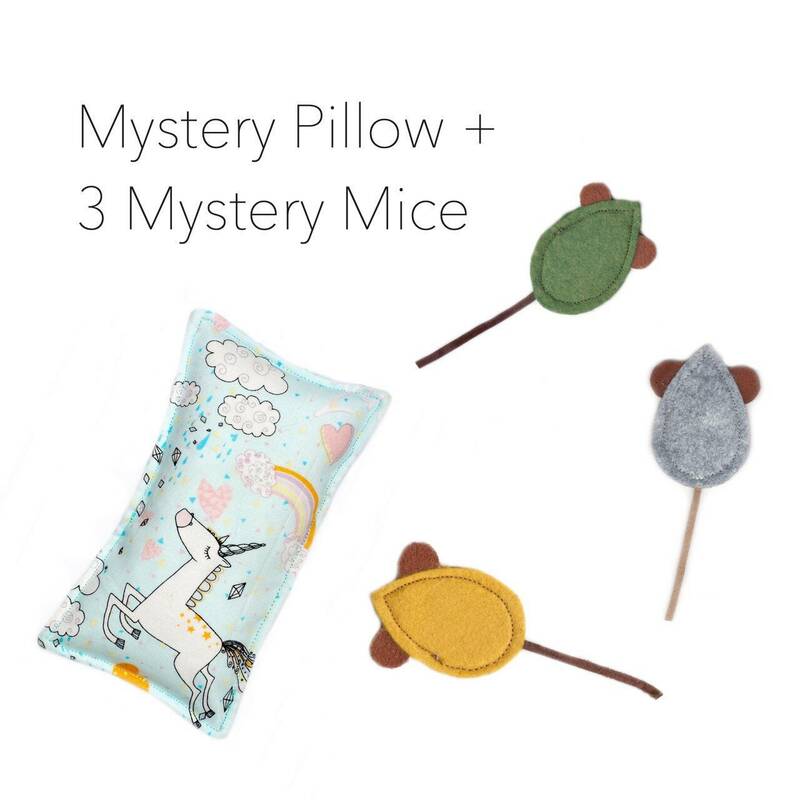 Our mystery set includes a random catnip pillow, and a 3-pack of catnip mice. The perfect option for when you just can't decide what to pick! Designs shown in photo may not be what is received. Body is fuzzy wool felt. Ears and tail are leather suede. Measures approximately 4.25" x 1.25"
Ear color may vary depending on leather swatches used. Measures approximately 5" x 1.75"
Want even more toys? Check out our full lineup at www.brownboxcat.com!